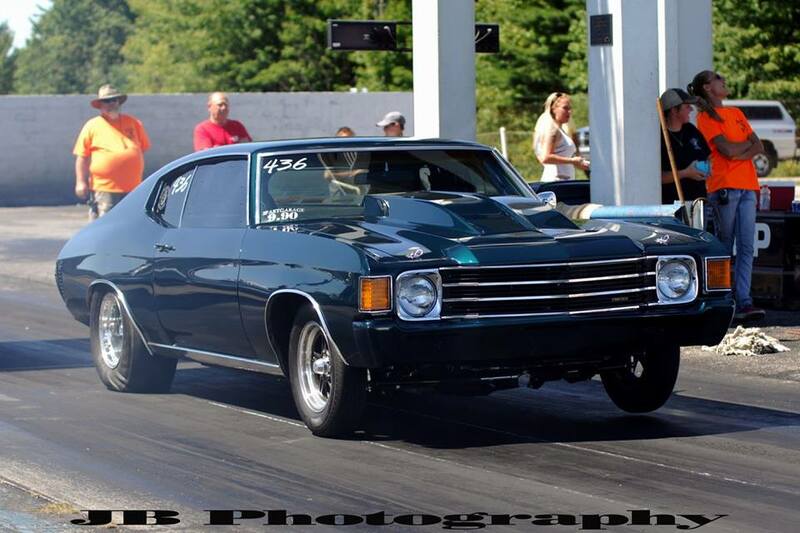 2nd time this season the 8.90 class had great car count!! This is where it all began for the RRA...8.90 may never boast the highest car counts among the classes of the RRA but it is still the heart of this organization...Never forget where you came from, Never forget the people who got you there!!! The RRA wouldn't even exist if it weren't for those guys coming together 7 years ago to make sure those displaced 8.90 racers had a place to go!! But all of us together...make one hell of a program!!! Eric Tuuri may have claimed his title during race #7 but when he faced the 2015 Champ in the semi-finals it was almost like Bill was already letting him know he may have won the 2016 Battle but the War is far from over!!! 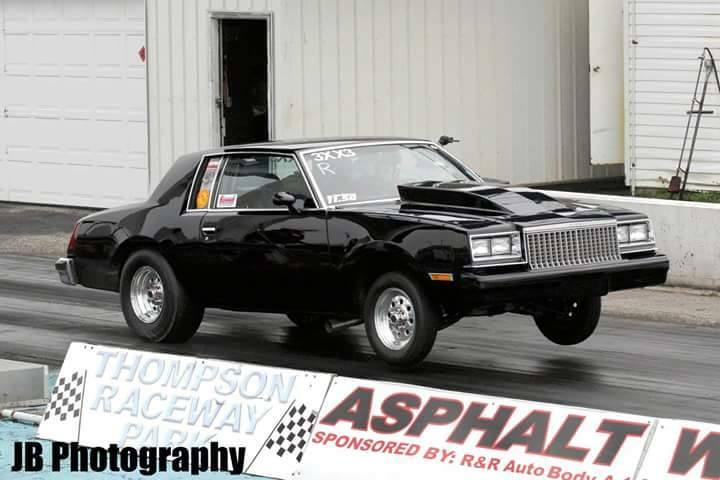 With identical reaction times of .0271 this time it was all about the top end game and Bill put up an 8.909 to take the round and put Tuuri on the trailer a round shy of the Winner's Circle!! On his 2ND WIN of the SEASON!! 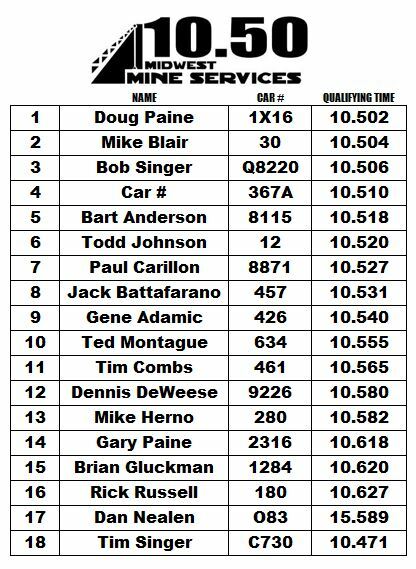 Race #8 proved pivotal in the 9.90 Summit Racing Equipment Championship Chase!! Our Defending Class Champion, Brian Kennelley had a rough start to the 2016 season. Race #1 found him all the way back in 10th place, but he has since fought to claw his way up back up through the ranks! 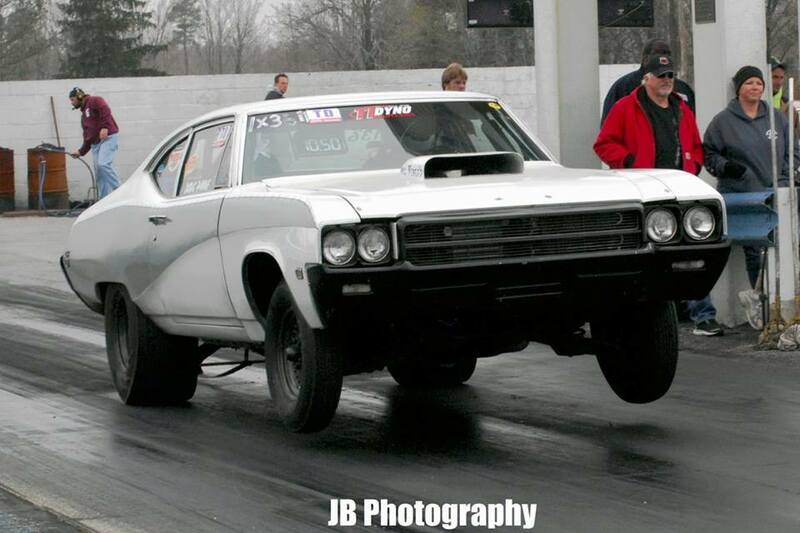 Mike Walker, Jack Brown and now Brian Kennelly have all had a turn holding on to that coveted top spot in within the points program. Jack Brown was holding the #1 spot going into Race #8, the position Mike Walker held up until Race #7 when Jack's ability to continually go rounds this season accumulated him enough points to overtake Walker. 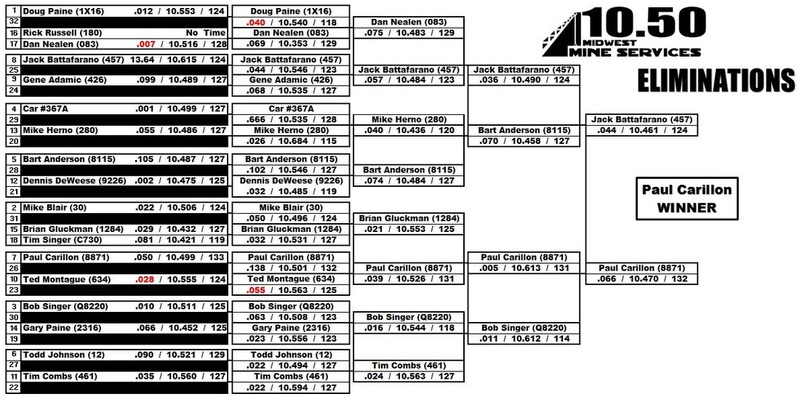 Unfortunately for Jack Brown he made an uncharacteristic early exit breaking out during 2nd round of eliminations and that would cause him to fall all the way back to 3rd place. Semi-finals is where the 9.90 match-up of all match-ups of Race #8 would go down...Walker vs Kennelley and whoever was left standing would take the points lead!! Kennelley successfully covered both ends for the win!! He would go on to the finals where he would find himself of the right side of the double break out round against Bryan Pendleton (non-points spoiler and member of the West Side G-Body Gang). 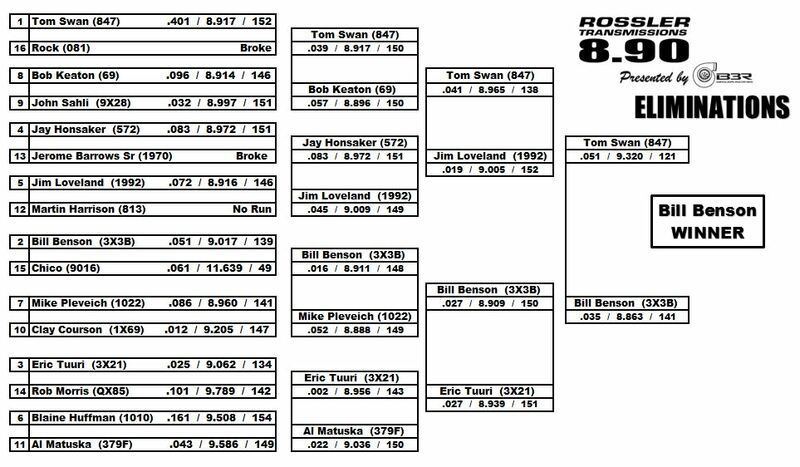 With that event win the Defending Champ would be going into the Season Finale back on top of the 9.90 Championship Points Program!! Holy break outs!!! For the 10.50 class the ladder was just riddled with break out passes including the final round. Where Paul Carillon would end the night on the right side of the double break out round against Jack Battafarano. 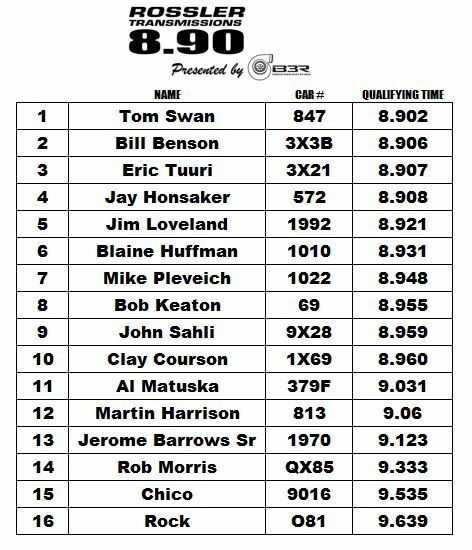 A couple fun stats along the way to the Winner's Circle, Paul also ran closest to the ET with a 10.501 during round #2 of eliminations, and put up the best light of the night in the semi-finals with his .005 reaction time!! 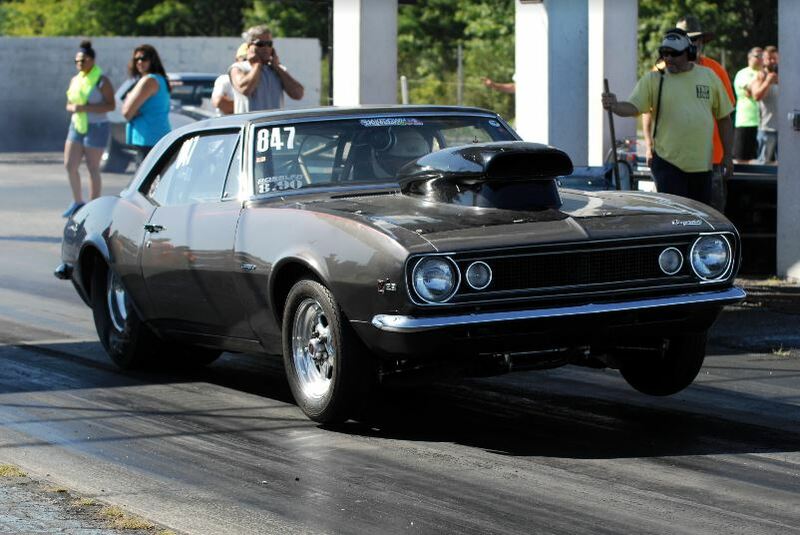 An interesting turn of events in the Championship Race came on Labor Day Weekend...Race #8 fell on the same weekend as the 10 Grand Race at Summit Motorsports Park and both Mike Carroll and Scott Fury were in Norwalk. 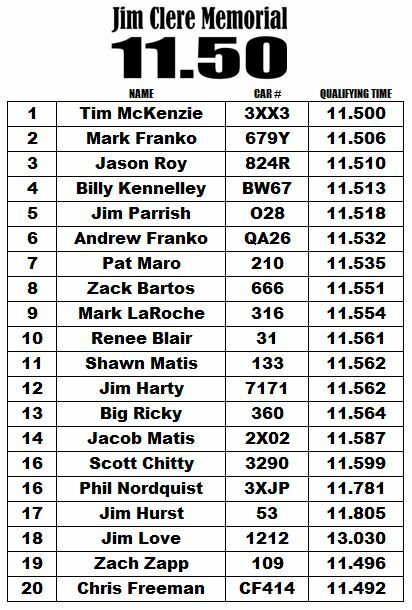 Scott sacrificed his last chance to overtake Mike for a shot at 10 Grand and he almost got it done, he made it down to 4 Cars on Saturday night!!! Mike had actually planned to make the race and return to Norwalk but his tow vehicle must have missed the memo and they did not make it afterall. We have celebrated and crowned Mike as the 2016 Summit Racing Equipment 10.50 Champion but it will technically take him signing his name on the dotted line at the registration booth to seal the deal...to cover all of the bases in case Scott Fury were to have to Perfect Storm of a Race Mike needs those entry points! Mike is/will be the 1st racer in RRA History to Win 3 Titles!!! That is quite an accomplishment and something to be proud of!! 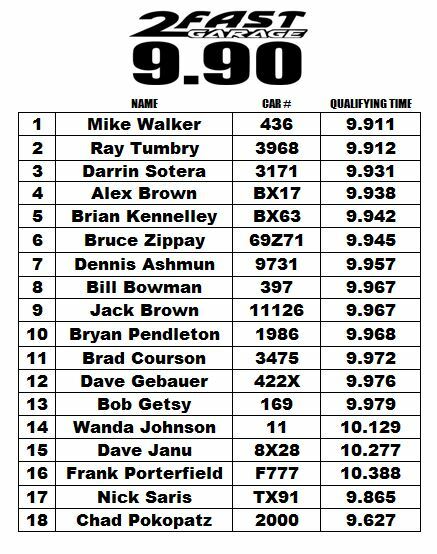 There were some hard fought rounds and some wicked good lights...we had 2 perfect lights for the day, Renee Blair killed it with a .0008 for the bonus points but unfortunately Jim Parrish his was on the wrong side of red equaling no bonus points and an early exit from eliminations!! It was an ALL ROOKIE FINAL for Race #8 with Billy Kennelley making his way there for the 2nd race in a row but this time the victory would go to Shawn Matis. This would be Shawn's 1st trip to the Winner's Circle with the RRA. Both Billy and Shawn would score him enough points to jump up into 6th and 7th place overall. Tim McKenzie's trip to the semi-finals should be enough to secure him the title that slipped through his fingers last season. We have to wait until the finale to see if he pulls it off for sure. CONGRATS to SHAWN MATIS and CREW! !